Bond Accountability Committee report urges patience, fiscal discipline and more data in run-up to Benson Tech's master plan approval. 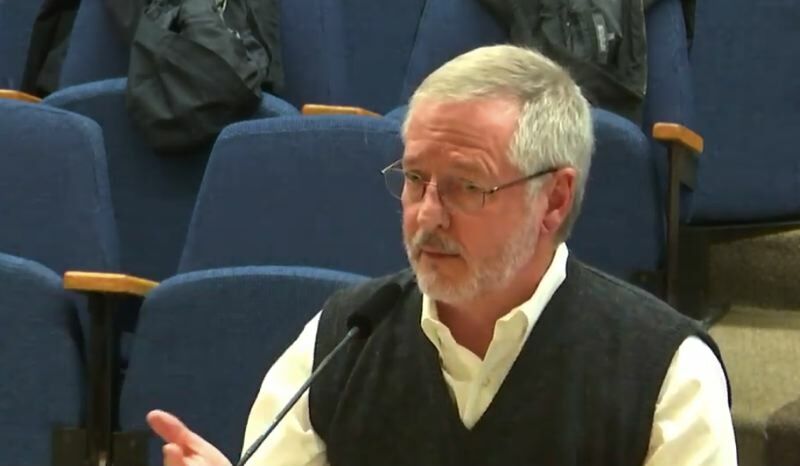 Retired contractor Kevin Spellman had to make sure that the Portland Public Schools board knew that his committee really does want to completely update Benson Polytechnic High School. Considering the scathing Bond Accountability Committee report he was about to give, Spellman didn't want any confusion. "The committee is united in supporting the full modernization of Benson High School," Spellman said Tuesday night. "So I don't want any doubt about that." He complained that costs have continued to balloon even after April's revelations that the 2017 bond was dramatically overbudget. In April, staff said the projects — three high schools, a middle school and assorted health and safety improvements — would cost $89 million more than the estimates given to voters. There is an audit due to the board soon on why the estimates given to voters were lower even than what the districts' own consultants advised. Regardless of the answer to that question, there have continued to be massive budget increases on the projects in process. "...it's hard to conclude that the bond program has exhibited real cost discipline or that it's been effective," Spellman said. In August, the $790 million-worth of projects was $132 million overbudget, he said. Just a few months later, Spellman said, they are now $182 million more than originally thought. Likewise, Benson, the inner Northeast Portland magnet technical school campus, was sold to voters as a $202 million project. Now the same scope is said to cost $313 million, though designers have made cuts to get the project down to it current $296 million price tag. "No explanation — that we know of — for that budget creep has been offered," Spellman said. "Again, it's that rate of change here that really troubles us." Spellman said a $296 million Benson Tech High School would be $812 per square foot. "We may have beaten this to death, but we would still like to see comparable benchmarking from other districts before accepting this number as reasonable," Spellman said. A widely used industry publication says high school construction costs in the Portland area tend to range between $285 and $350 per square foot. Though, site conditions and what goes in the building can vary significantly. Benson Tech is home to a lot of specialized equipment, for example. The committee suggested the most prudent approach would probably be to delay Benson's process so that the entire project could be included in more detail on a 2020 bond request to voters. "If we don't do our best to restore the district credibility at this point, we have serious risk of not getting additional funding," Spellman said. He said without a clear plan for Benson and where it fits within the district's career-technical training spectrum, as well as a full accounting of what happened to the wildly inaccurate 2017 bond projections, the district was taking a big risk in partially funding the project and hoping for relief on the rest from voters. With this strategy, Spellman said, "there can be no failure at the ballot box in 2020. So, we have to be very clear about what we're asking for, why we're asking for it, before we should expect voters to approve it. Passage should not be taken for granted." Another aspect still up in the air is whether Alliance High School — an alternative high school with about 500 students who weren't served well at a typical comprehensive high school — will stay at the large campus near Lloyd Center mall. Superintendent Guadalupe Guerrero mentioned he had heard that the central location was important to the school community but also that staying there with an expanding Benson Tech program would make for "tight quarters." A vote authorizing the Benson Master Plan to be included in the 2017 bond program is expected Dec. 18. Board members considering a delay will likely also think about the 6.5 percent annual rate of increase in local construction costs as well as previously floated funding alternatives to a successful 2020 bond. If the current plan goes ahead, by March, staff say they will present what programs and program spaces will be included in the site's plan. They will also present a phasing plan to explain which classes will be able to stay there during construction.